Is a curious musical place where certain elements of 1930s Berlin Cabaret, Hot Club de France, Nuevo Tango and Gypsy Campfire meet, have a few drinks and stagger arm in arm into the darkness of some eastern European cobbled street on a mission to find the bar where Django Reinhardt and Tom Waits are having an after hours jam with the local Tziganes! 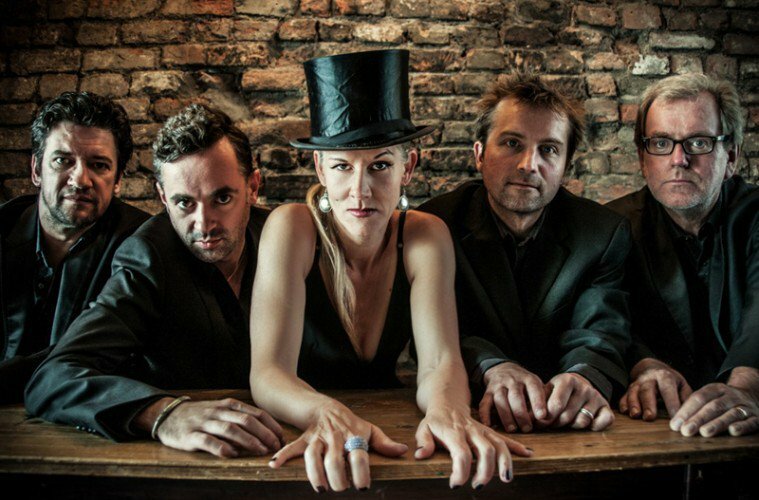 Combining their original material with songs by the likes of Jaques Brel, Leornard Cohen, Tom Waits and Bertolt Brecht, Moscow Drug Club provide an intoxicating & intimate musical experience. 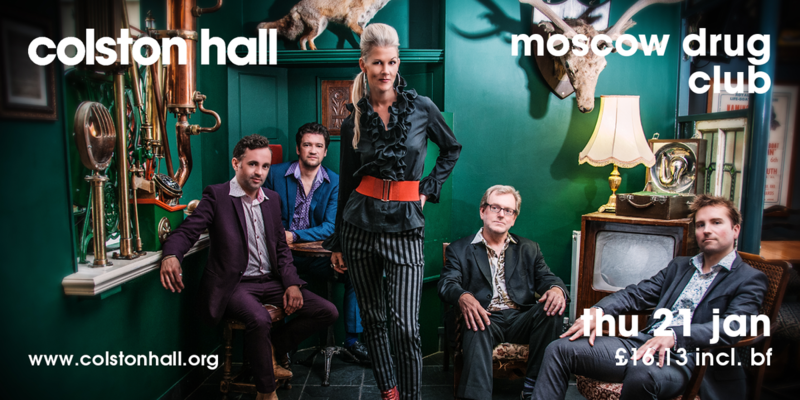 Moscow Drug Club formed in late 2009 in Bristol, when North American chanteuse Katya Gorrie and International guitar virtuoso Denny Ilett stumbled into a pub and met a Django guitarist named Dave Archer. Finding that they each had a passion for the swing music of the 30’s and 40’s, and the Parisian songwriters of the 50’s, an idea began to form in their minds. 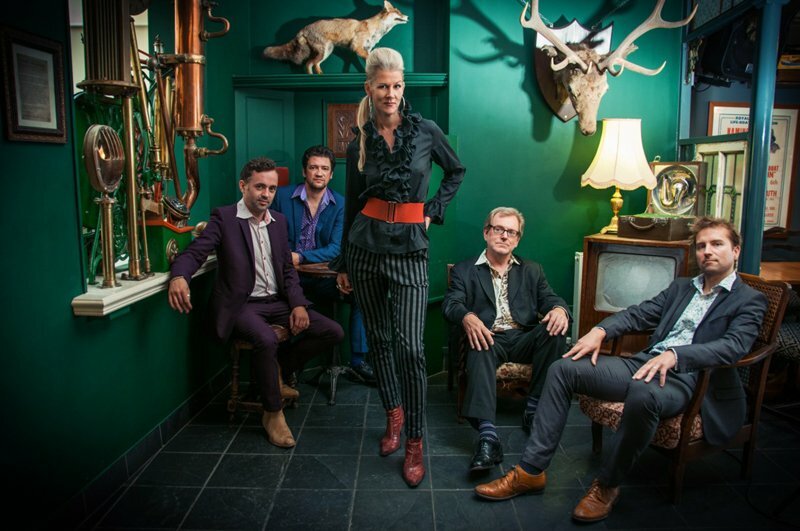 Teaming up with classical violinist John Pearce and double bassist Andy Crowdy, the five-piece was complete Combining original material with songs by the likes of Jacques Brel, Leonard Cohen, Tom Waits, Bertolt Brecht and Duke Ellington, Moscow Drug Club have wowed crowds across the UK with their infectious sound. 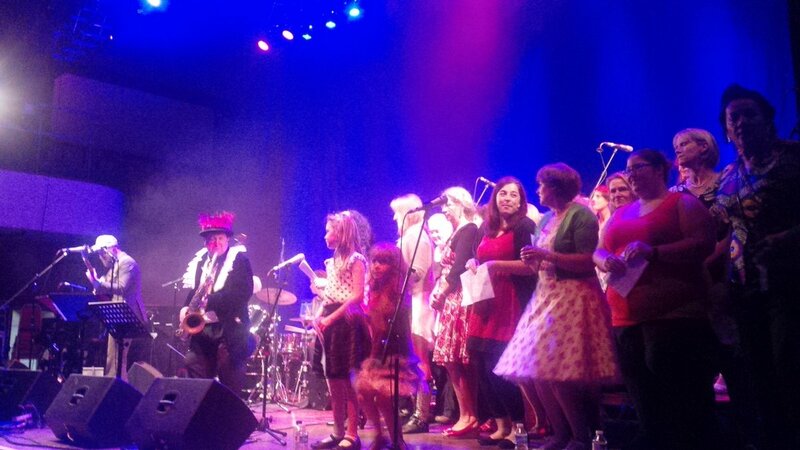 Highlights in 2013 included Womad, Larmer Tree, Marlborough Jazz festival and the Royal Albert Hall. 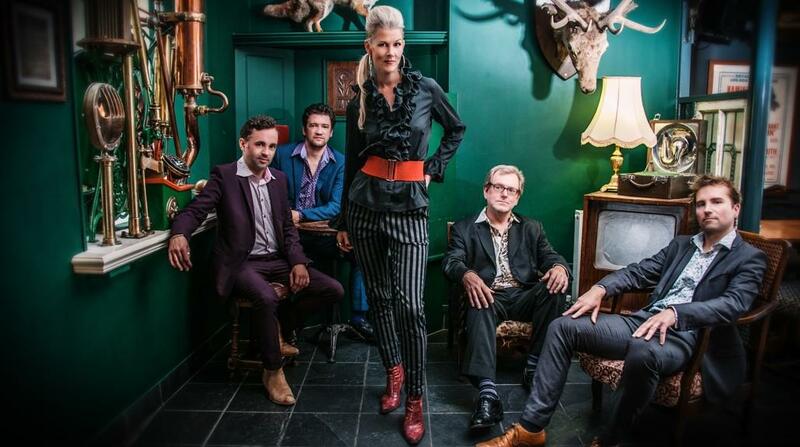 @moscowdrugclub hits a bullseye at @Colston_Hall What an amazing group of people. Repeat business from me. RT @BillFoodBev: @BristolJazzFest @BruceIlettBand @Colston_Hall can't wait... Going to be an amazing gig!! !